Happy August! It’s hot, sticky, and uncomfortable. Maybe I’ll just move to the ocean for the rest of the month. Or stay inside and never worry about the weather again. 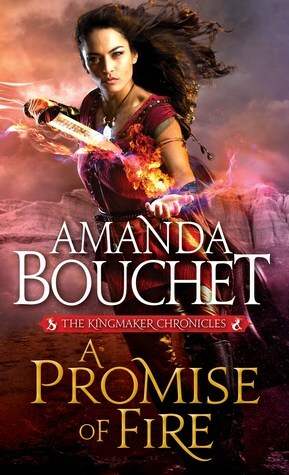 A Promise of Fire (Kingmaker Chronicles #1) by Amanda Bouchet (Sourcebooks Casablanca; Paranormal Romance; August 2, 2016) Catalia “Cat” Fisa is a powerful clairvoyant known as the Kingmaker. This smart-mouthed soothsayer has no interest in her powers and would much rather fly under the radar, far from the clutches of her homicidal mother. But when an ambitious warlord captures her, she may not have a choice… Griffin is intent on bringing peace to his newly conquered realm in the magic-deprived south. When he discovers Cat is the Kingmaker, he abducts her. But Cat will do everything in her power to avoid her dangerous destiny and battle her captor at every turn. Although up for the battle, Griffin would prefer for Cat to help his people willingly, and he’s ready to do whatever it takes to coax her…even if that means falling in love with her. 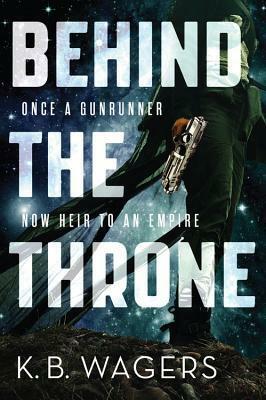 Behind the Throne (The Indranan War #1) by K.B. Wagers (Orbit Books; Sci-Fi; August 2, 2016) An action-packed, Star Wars-style science fiction adventure trilogy from debut author K. B. Wagers. Hail Bristol has made a name for herself in the galaxy for everything except what she was born to do: rule the Indranan Empire. When she is dragged back to her home planet to take her rightful place as the only remaining heir, she finds that trading her ship for a palace is her most dangerous move yet. 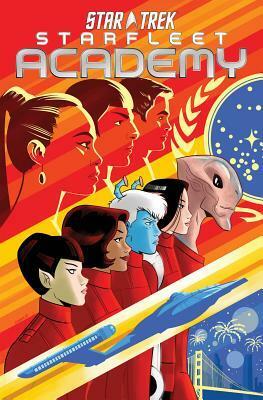 Star Trek: Starfleet Academy by Mike Johnson, Ryan Parrott, Derek Charm (Illustrations) (IDW Publishing; Sci-Fi; August 2, 2016) A bold new chapter for STAR TREK begins here, in an all-new series that shows you what life is like for cadets at the galaxy’s greatest school! Witness the student days of the iconic cast before they joined the Enterprise! Plus, meet an all-new group of students as they embark on bold new adventures of their own! The first new characters in the STAR TREK movie universe make their mark here. 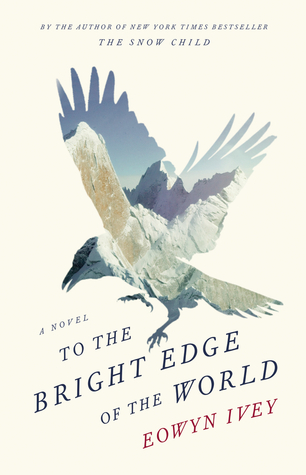 To The Bright Edge of the World by Eowyn Ivey (Little, Brown and Company; Historical Fiction; August 2, 2016) Set again in the Alaskan landscape that she bought to stunningly vivid life in THE SNOW CHILD, Eowyn Ivey’s new novel is a breathtaking story of discovery and adventure, set at the end of the nineteenth century, and of a marriage tested by a closely held secret. Colonel Allen Forrester receives the commission of a lifetime when he is charged to navigate Alaska’s hitherto impassable Wolverine River, with only a small group of men. The Wolverine is the key to opening up Alaska and its huge reserves of gold to the outside world, but previous attempts have ended in tragedy. For Forrester, the decision to accept this mission is even more difficult, as he is only recently married to Sophie, the wife he had perhaps never expected to find. Sophie is pregnant with their first child, and does not relish the prospect of a year in a military barracks while her husband embarks upon the journey of a lifetime. She has genuine cause to worry about her pregnancy, and it is with deep uncertainty about what their future holds that she and her husband part. 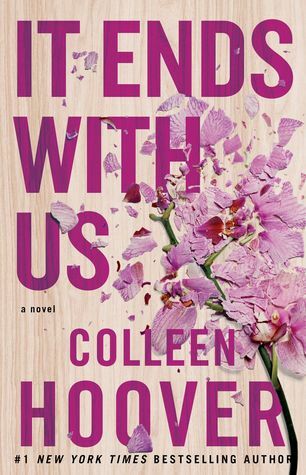 It Ends with Us by Colleen Hoover (Atria Books; New Adult Contemporary; August 2, 2016) Lily hasn’t always had it easy, but that’s never stopped her from working hard for the life she wants. She’s come a long way from the small town in Maine where she grew up—she graduated from college, moved to Boston, and started her own business. So when she feels a spark with a gorgeous neurosurgeon named Ryle Kincaid, everything in Lily’s life suddenly seems almost too good to be true. Ryle is assertive, stubborn, maybe even a little arrogant. He’s also sensitive, brilliant, and has a total soft spot for Lily. And the way he looks in scrubs certainly doesn’t hurt. Lily can’t get him out of her head. But Ryle’s complete aversion to relationships is disturbing. Even as Lily finds herself becoming the exception to his “no dating” rule, she can’t help but wonder what made him that way in the first place. As questions about her new relationship overwhelm her, so do thoughts of Atlas Corrigan—her first love and a link to the past she left behind. He was her kindred spirit, her protector. When Atlas suddenly reappears, everything Lily has built with Ryle is threatened. 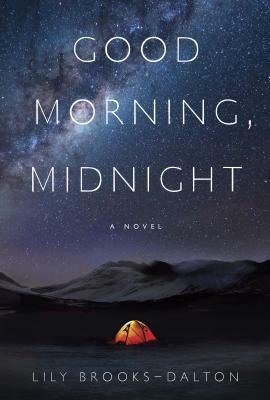 Good Morning, Midnight by Lily Brooks-Dalton (Random House; Sci-Fi; August 9, 2016) Augustine, a brilliant, aging astronomer, is consumed by the stars. For years he has lived in remote outposts, studying the sky for evidence of how the universe began. At his latest posting, in a research center in the Arctic, news of a catastrophic event arrives. The scientists are forced to evacuate, but Augustine stubbornly refuses to abandon his work. Shortly after the others have gone, Augustine discovers a mysterious child, Iris, and realizes the airwaves have gone silent. They are alone. At the same time, Mission Specialist Sullivan is aboard the Aether on its return flight from Jupiter. The astronauts are the first human beings to delve this deep into space, and Sully has made peace with the sacrifices required of her: a daughter left behind, a marriage ended. So far the journey has been a success, but when Mission Control falls inexplicably silent, Sully and her crew mates are forced to wonder if they will ever get home. 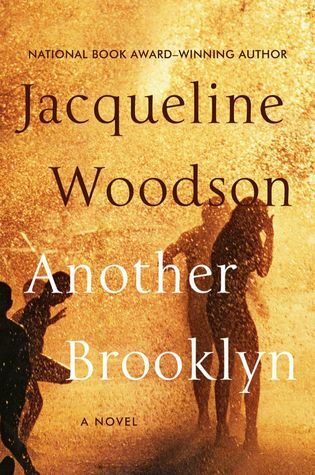 Another Brooklyn by Jacqueline Woodson (Amistad; Literary Fiction; August 9, 2016) Running into a long-ago friend sets memories from the 1970s in motion for August, transporting her to a time and a place where friendship was everything—until it wasn’t. For August and her girls, sharing confidences as they ambled through neighborhood streets, Brooklyn was a place where they believed that they were beautiful, talented, brilliant—a part of a future that belonged to them. But beneath the hopeful veneer, there was another Brooklyn, a dangerous place where grown men reached for innocent girls in dark hallways, where ghosts haunted the night, where mothers disappeared. A world where madness was just a sunset away and fathers found hope in religion. 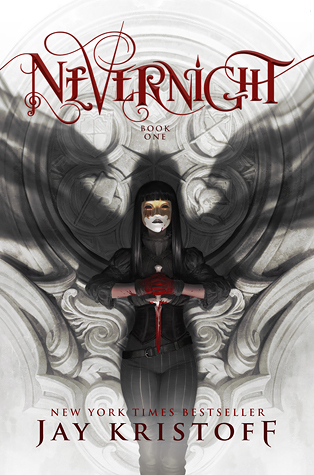 Nevernight (The Nevernight Chronicle #1) by Jay Kristoff (Thomas Dunne Books; Young Adult Fantasy; August 9, 2016) In a land where three suns almost never set, a fledgling killer joins a school of assassins, seeking vengeance against the powers who destroyed her family. Daughter of an executed traitor, Mia Corvere is barely able to escape her father’s failed rebellion with her life. Alone and friendless, she hides in a city built from the bones of a dead god, hunted by the Senate and her father’s former comrades. But her gift for speaking with the shadows leads her to the door of a retired killer, and a future she never imagined. Now, Mia is apprenticed to the deadliest flock of assassins in the entire Republic—the Red Church. If she bests her fellow students in contests of steel, poison and the subtle arts, she’ll be inducted among the Blades of the Lady of Blessed Murder, and one step closer to the vengeance she desires. But a killer is loose within the Church’s halls, the bloody secrets of Mia’s past return to haunt her, and a plot to bring down the entire congregation is unfolding in the shadows she so loves. Will she even survive to initiation, let alone have her revenge? 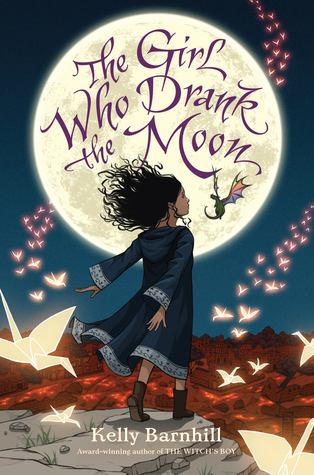 The Girl Who Drank the Moon by Kelly Barnhill (Algonquin Young Readers; Middle Grade Fantasy; August 9, 2016) Every year, the people of the Protectorate leave a baby as an offering to the witch who lives in the forest. They hope this sacrifice will keep her from terrorizing their town. But the witch in the forest, Xan, is kind and gentle. She shares her home with a wise Swamp Monster named Glerk and a Perfectly Tiny Dragon, Fyrian. Xan rescues the abandoned children and deliver them to welcoming families on the other side of the forest, nourishing the babies with starlight on the journey. One year, Xan accidentally feeds a baby moonlight instead of starlight, filling the ordinary child with extraordinary magic. Xan decides she must raise this enmagicked girl, whom she calls Luna, as her own. 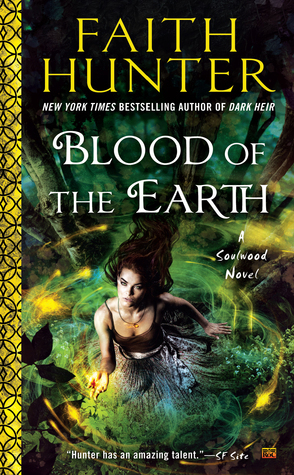 To keep young Luna safe from her own unwieldy power, Xan locks her magic deep inside her. When Luna approaches her thirteenth birthday, her magic begins to emerge on schedule–but Xan is far away. Meanwhile, a young man from the Protectorate is determined to free his people by killing the witch. Soon, it is up to Luna to protect those who have protected her–even if it means the end of the loving, safe world she’s always known. 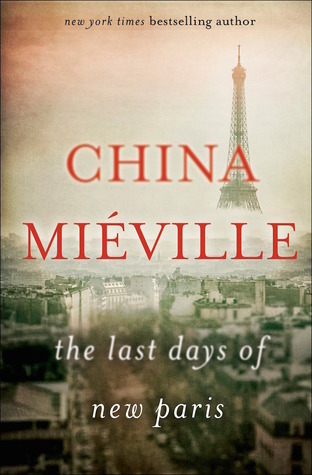 The Last Days of New Paris by China Miéville (Del Rey; Speculative Fiction; August 9, 2016) 1941. In the chaos of wartime Marseilles, American engineer—and occult disciple—Jack Parsons stumbles onto a clandestine anti-Nazi group, including Surrealist theorist André Breton. In the strange games of the dissident diplomats, exiled revolutionaries, and avant-garde artists, Parsons finds and channels hope. But what he unwittingly unleashes is the power of dreams and nightmares, changing the war and the world forever. 1950. A lone Surrealist fighter, Thibault, walks a new, hallucinogenic Paris, where Nazis and the Résistance are trapped in unending conflict, and the streets are stalked by living images and texts—and by the forces of Hell. To escape the city, he must join forces with Sam, an American photographer intent on recording the ruins, and make common cause with a powerful, enigmatic figure of chance and rebellion: the Exquisite Corpse. But Sam is being hunted. And new secrets will emerge that will test all their loyalties—to each other, to Paris old and new, and to reality itself. Hard Rules (Dirty Money #1) by Lisa Renee Jones (St. Martin’s Griffin; Erotica; August 9, 2016) How bad do you want it? The only man within the Brandon empire with a moral compass, Shane Brandon is ready to take his family’s business dealings legitimate. His reckless and ruthless brother, Derek wants to keep Brandon Enterprises cemented in lies, deceit, and corruption. But the harder Shane fights to pull the company back into the light, the darker he has to become. Then he meets Emily Stevens, a woman who not only stirs a voracious sexual need in him, but becomes the only thing anchoring him between good and evil. Emily is consumed by Shane, pushed sexually in ways she never dreamed of, falling deeper into the all-encompassing passion that is this man. She trusts him. He trusts her, but therein lies the danger. Emily has a secret, the very thing that brought her to him in the first place, and that secret that could that destroy them both. 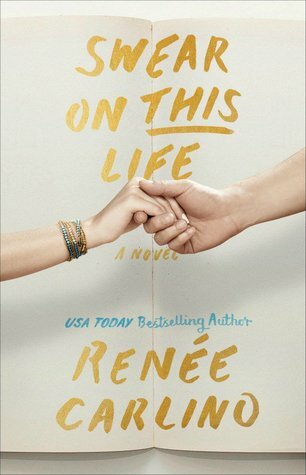 Swear on This Life by Renee Carlino (Contemporary Romance; Atria Books; August 9, 2016) When a bestselling debut novel from mysterious author J.Colby becomes the literary event of the year, Emiline reads it reluctantly. 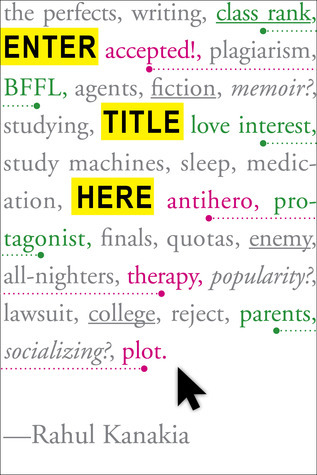 As an adjunct writing instructor at UC San Diego with her own stalled literary career and a bumpy long-term relationship, Emiline isn’t thrilled to celebrate the accomplishments of a young and gifted writer. Yet from the very first page, Emiline is entranced by the story of Emerson and Jackson, two childhood best friends who fall in love and dream of a better life beyond the long dirt road that winds through their impoverished town in rural Ohio. That’s because the novel is patterned on Emiline’s own dark and desperate childhood, which means that “J. Colby” must be Jase: the best friend and first love she hasn’t seen in over a decade. Far from being flattered that he wrote the novel from her perspective, Emiline is furious that he co-opted her painful past and took some dramatic creative liberties with the ending. The only way she can put her mind at ease is to find and confront “J. Colby,” but is she prepared to learn the truth behind the fiction? 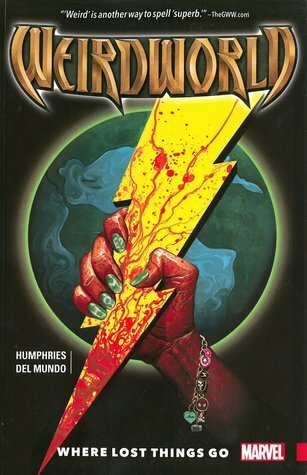 Weirdworld, Vol. 1: Where Lost Things Go by Sam Humphries, Mike del Mundo (Illustrator) (Superheroes; Marvel Comics; August 9, 2016) The strangest realm on Battleworld is now the most mysterious region of the Marvel Universe! And Earth girl Becca is stuck in this land of sword and sorcery — with no experience with either! She has only one mission: get home alive. But will becoming apprentice to Goleta the Wizardslayer aid that quest, or render it even more unlikely? In a land of myths, monsters and…muscle cars? Becca and Goleta will brave the Enchanted Village and Fang Mountains, seek aid from Catbeast and the Dog-Fighters, and find themselves in the middle of a war between Lava Men and Man-Things. But most dangerous of all is Morgan Le Fay — Becca had better hope she never falls into the sorceress’s evil clutches! Join Becca’s quest, and brave the dangers and uncover the secrets of Weirdworld! Collecting WEIRDWORLD (2015B) #1-6. 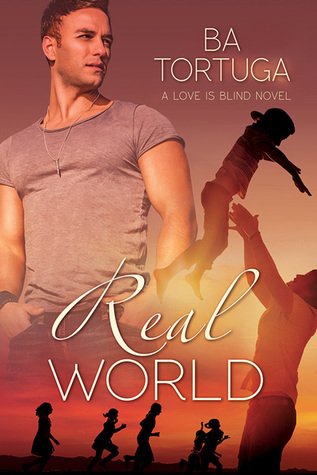 Real World (Love is Blind #2) by B.A. Tortuga (Dreamspinner Press; M/M Romance; August 15, 2016) Dan White is trying to acclimate to civilian life after a long career in the military with multiple combat deployments. Now he’s home in the Austin area, living with his brother Dixon, Dixon’s husband, Audie, and their two nine-year-olds. During the New Year celebration, Dan meets Abraham Weldon, and the connection is instant. There’s a kiss. There’s a dance. There’s a proposition. Then Dan finds out Weldon is bisexual. And a dad. With five kids. Five kids, one of whom is a blind fifteen-year-old. Weldon has been in love twice in his life—with his high school best friend, Blake, and with his wife, Krista, who he met in a Dairy Queen as she was crying over a positive pregnancy test. Love number three hits Weldon like a hammer when he meets Dan. But since Dan isn’t interested in a guy with kids, they might only get one night together.